Product prices and availability are accurate as of 2019-04-22 18:51:27 UTC and are subject to change. Any price and availability information displayed on http://www.amazon.com/ at the time of purchase will apply to the purchase of this product. 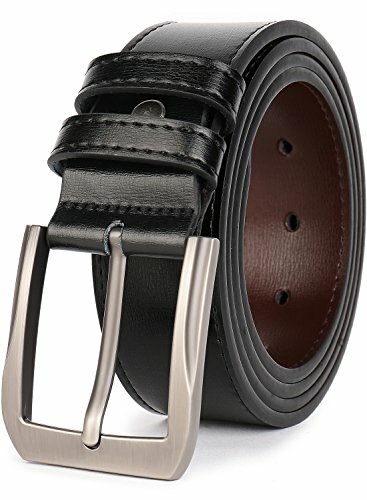 The belts are classic for men. You can always wear it in many occasions. You will be charming when wear it. And it will be the necessary in you closet. 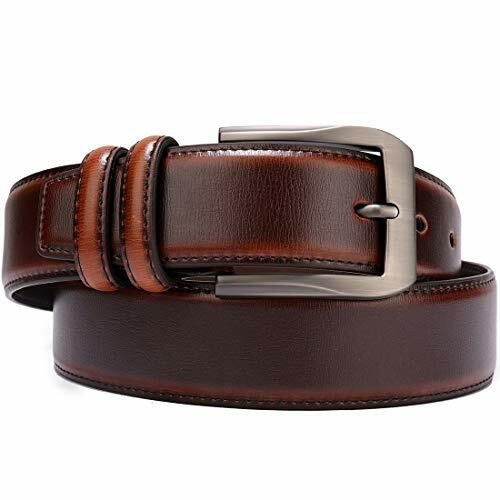 Belt: leather belts for men 1.5 inch wide moderate not too soft or stiff hand feeling, black and brown color available. 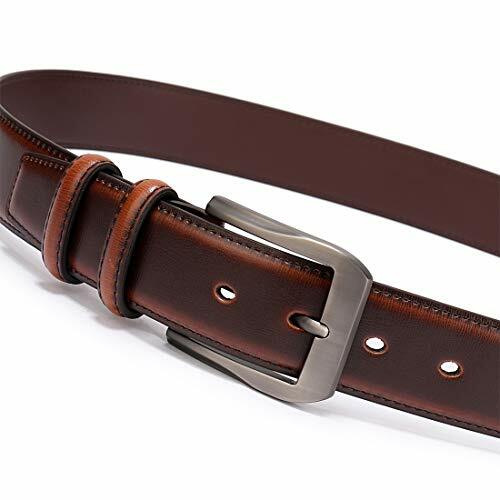 Buckle size 2.08*2.48 inch Belt Size: belts size 28-30, 30-32, 32-34, 34-36, 36-38, 38-40, 40-42, 42-44, 44-46, 46-48, 48-50, 50-52, 52-54, 54-56, 56-58 those sizes are available, please buy one size larger than your waist size. 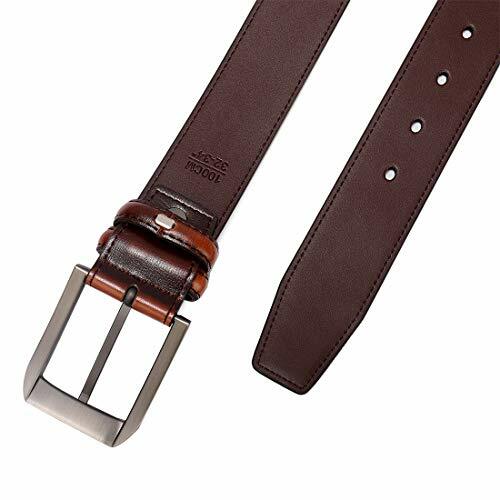 The size is measured by the middle three holes in the belts. So plus size belt xl, and big ang tall men will find their fits. 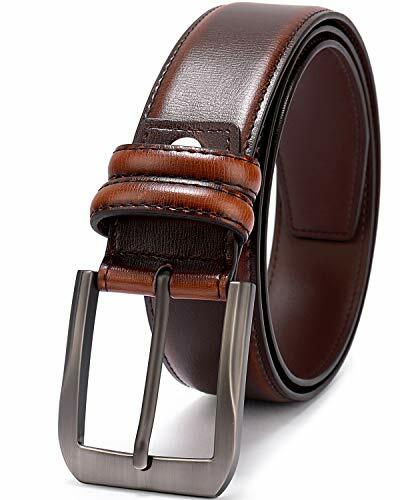 Pin Buckles Belt: Brushed alloy single prong buckles with wrapped leather attached to the belts, you can unscrew the buckle remove it and cut the belt to your size. Two leather rings around the belt, one is to fix the belt and the other to fix the tail of the belt. 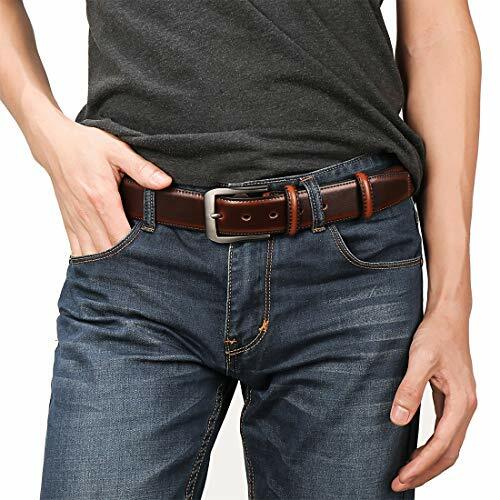 Occasions: the belts fit for men in dress pants, jeans, and other casual wear. Gift box presented so you can send to yours friends, family as gift on the birthday day, Father's day, Christmas Day or other occasions. Buy returns and exchange: 180 days free buy return and exchange. Please buy with confidence.